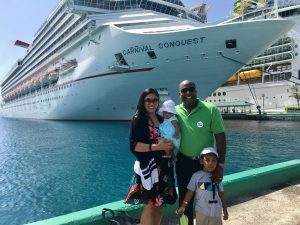 We are happy to welcome Jennifer Stewart to our Expat Life Interview Series. She is from Canada doing a PhD in International Development in Japan. She is also married to a Japanese. Let’s read her expat life experience. A: I am from Canada. The west coast is the best coast. Q: In which city and country are you living now? Did you move there alone or with a spouse/family? A: I am living in Nagoya, Japan. I moved here in 2012. I was in Korea before that while my then-fiancé was in Japan at the time. We got married a couple weeks after I came to Japan. Q: How long have you lived there and how long are you planning to stay? A: I have been here for the last five years and will stay here for at least the next three years while I work on my PhD. After that, I don’t know what we will do. Q: Why did you move and what do you do? A: I had already been to Japan for one year when I was 19. I was young though and needed to come home to finish school. I knew that I wanted to travel and experience life abroad. Teaching English seemed like the best way to do that at the time, so I got my Teaching ESL certificate while I was finishing my degree. After Korea, I taught English here for two years from 2012 until I’d had enough. Then I went to a Japanese language school full-time for a year. After that, I entered a Master’s program. I just had my graduation in March! Q: Moving from Canada to Japan, what was your first impression? A: This was not my first time visiting or living in Japan, so it wasn’t exactly new to me. When I came here five years ago, I think I was already quite used to seeing new places and living in foreign countries. I was pretty much through all the stages of culture shock. But this time, working in a Japanese public school, I think I got to experience a bit more about Japanese culture. For example, in Japan is not polite to be so direct when speaking to people and instead take this really round-about way to say something. This, combined with honorific language, can be incredibly frustrating when your Japanese co-teacher takes 10 minutes and a bazillion confusing words to tell you that you made a mistake. When I was living here when I was 19, I remember being confused about how the streets were so clean but there were no trash cans everywhere. I’m not very outgoing, and don’t like to be approached by strangers or make small talk with people I don’t know. I’m thankful that cashiers and people here don’t do that. Q: What do you enjoy most about Japan? What were some of your favorite experiences in Japan? A: *cue cheesy answer* The thing I like most about Japan is my husband. He is Japanese. After that, I really appreciate how safe it is here. I almost never feel afraid to walk down the street in the dark or late at night. Petty theft and crimes are uncommon. I see people in the food court and other public places walk away and save their seat with their iPad, phone, or purse. I would never do that though. Maybe my most memorable experience in Japan is climbing Mt. Fuji. My husband and I did it in the summer of 2012. It was difficult, but it was amazing to reach the top and look out over the ocean and the cities so far below. I haven’t written a post about this yet. Q: What do you miss most about home? A: More and more, I am missing my family. I am pretty independent, and my husband is here with me, so I’m never really lonely. But as I am getting older, I am appreciating my family more, and it can be hard to not be there when they need you. In terms of food and things, not much. I can find almost everything I want somewhere in Japan or online. I always get Tim Hortons as soon as I get off the plane when I go back to Canada. I’m tall, so I miss being able to find clothes that fit. Almost my entire wardrobe is from H&M at this point because it’s the only thing that fits me. Q: What has been the greatest aspect of your expat experience so far? What are the adjustments you had to make when settling into expat life there? A: It’s been wonderful that I could do my Master’s Degree here (and next a PhD). I’m kind of a book nerd, so I was really happy to be able to go back to school in Japan and study in English. I don’t know what adjustments I had to make…I think I am pretty adaptable and understanding of other cultures and differences. My husband and I always say he is not a “typical Japanese” because our relationship and home life is not gendered regarding chores and expectations. So I never had to fit into some role that a wife is supposed to. Q: How would you rate the quality of life compared to your home country, in terms of cost of living, public transportation and healthcare system? A: I feel safer in Japan. I can be a bit paranoid, so I don’t usually like to walk around late at night in Canada. I suppose the cost of living is comparable. I didn’t take public transportation much in Canada – I had a car. It’s great in Japan though. Trains are easy and efficient. Sometimes I do miss driving. The healthcare system here is good, but it’s a bit annoying that I have to pay for it. I remember going to the doctor for the first time in Korea, and I was so shocked/confused/outraged that I had to pay $5 to see the doctor because I had a cough. Q: What are the best things to do or places to visit in Japan? A: My favorite tourist attraction is Todaiji in Nara. Everybody always talks about the deer, but I really love the big wooden building that holds the Great Buddha. It’s such an old, huge, amazing structure. My husband is from Okinawa, and I have been there six times so far. 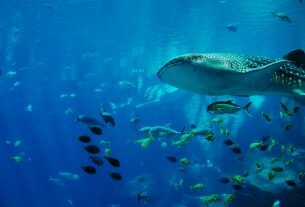 It’s quite different than the rest of Japan, and the beaches and ocean are beautiful. Q: Tell us about your typical day as an expat in Japan. A: My day is probably a lot different than other expats in Japan. I’m not working right now, and I don’t have a lot of classes anymore. I can pretty much wake up whenever I feel like and do whatever I want during the day, as long as I get done the things that I need to get done. Although I do have lazy days, I’m self-motivated and good at managing my time and giving myself deadlines. Once school gets going again, I’m sure I’ll be busy going to school more often, reading articles, revising my research proposal, making presentations, getting ready to do fieldwork, yada yada. Q: Was it easy meeting people and making friends? Have you made friends with locals or do you mix mainly with other expats? Did you feel you fitted in culturally? A: I’m not the best at meeting new people and making friends. But I’m also not someone who needs a lot of friends. I am happy to spend a lot of time alone or with my husband. However, during my two years in grad school, I was surrounded by so many wonderful people from all parts of the world. There were probably close to 30 different nationalities represented in my class, as well as Japanese people. I think this kind of environment makes it easy to make friends, especially when we are all going through the same struggles of thesis writing and surviving in Japan. I also train in Taekwondo twice a week, and everyone there is Japanese. I feel like I fit comfortably in Japan because when I am out around town I am quite good at keeping to myself. People don’t interfere in my personal bubble too much, and I like that. Q: Did you have a problem getting a visa or work permit? Did you tackle the visa process yourself or go through an agency? A: When I came here in 2012, I was on a work visa. The company I was working for helped arrange it while I was still in Korea. After one year, I changed to a spouse visa, which I had for four years. Last year I changed to a permanent resident visa. This is obviously the best option because you have the most freedom to do whatever you want in Japan. It’s the closest you can get to having the same rights as a Japanese person without naturalizing. I would never give up my Canadian citizenship though. A: To be honest, there are a lot of things I don’t like about work culture in Japan. I think Japan is notorious for having long working hours. People see it as a sign of laziness to leave work before their boss, so they work into the night. And then they go out drinking with their co-workers, leaving their family at home. Then they are too tired on the weekend to spend time with their family. And I don’t like the hierarchy system and the levels of language that you use with people above or below you. It’s supposed to be respectful, but find it condescending and rude. People are promoted here based on how long they have worked at a company and how much overtime they do. But that overtime is sometimes spent looking like they are working and not actually working. I think it’s better to be promoted based on your skill and competence. I could go on, but I’ll stop there. My husband is good about not getting sucked into Japanese work culture. Don’t even get me started on gender. Q: What are your tips or advice for anyone looking to live and work in Japan? A: I think it’s helpful to have at least a simple understanding of Japanese culture before deciding to spend a long time here. Even then, you might find that it is not for you. As with any new place, knowing some of the languages will go a long way in making your stay more comfortable, and people will appreciate your effort. While I don’t love everything about Japan, I like enough to want to spend my life here right now. I think it’s important to have realistic expectations of the country since every place has its faults. I’ve come across some people who live here and only have negative things to say, and they’re such a downer. Japan has a lot of wonderful things to offer, so you must find a balance. 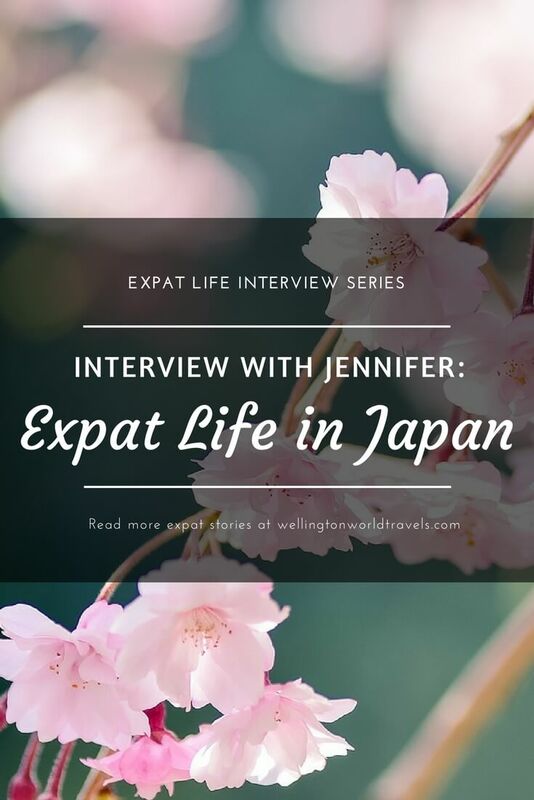 Thank you, Jennifer, for taking the time to be part of our Expat Life Interview Series! Jennifer Stewart of Stewie Overseas is from Canada but currently calls Nagoya, Japan her home. She has been there for the last five years with her husband, who happens to be Japanese. Jennifer has been to 18 countries for travel, vacation, work, and research and is now doing a Ph.D. in International Development. Follow her blog to read about her adventures in Japan and abroad. You can connect with her on Facebook, Instagram, Twitter, Pinterest, and Bloglovin’. *All photos are the sole property of the author. They were provided and used with permission for this interview only. Any unauthorized use of these photos is prohibited. 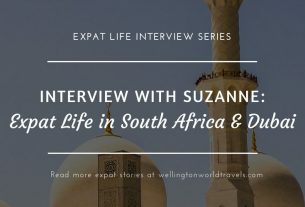 The Expat Life Interview Series was created to know more about the country, not just from a traveler’s perspective. We hope to help others who are thinking of working abroad to know how it is to live and work with the locals. If you are living and working abroad even for only a few months or several years and would like to be featured on Wellington World Travels, please Contact Us so we can send you the questions and share your expat life experience. Thank you, Suzanne. Always appreciate it. The iPad & purse has me at ?. Amazing!! The phone, iPad & purse left at the food court and public place has me like ? I felt the same way when I first read her answers! Amazing, right?! Japan is my favorite country! You are going to enjoy it. If only there is a job opportunity for me there, I would like to live there. 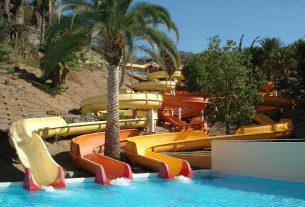 I love reading about other expats and their experiences. Great interview! Thank you so much. Appreciate the kind words. Early enjoying these posts. Japan looks fascinating. Thank you for reading. Appreciate it. Better not try living in the US! I was surprised to find that Japanese hospitals didn’t have emergency rooms. Thank you for reading the interview. Appreciate it. Thanks for the opportunity to be interviewed, Carmen! You’re welcome! It was a pleasure to have you!